Just imagine sitting back and relaxing in your screened-in patio to the sounds of a tranquil waterfall and pond surrounded by flowering trees and swaying palm trees. You can even add fish and make it a Koi pond. This is the perfect ambiance to entertain your new Mizner Falls friends or just break out a good book and enjoy the quiet of nature. This spectacular oasis offers total privacy and is so rare to find. Mizner Falls also has NATURAL GAS which not many communities offer. For total peace of mind, there is a HOUSE GENERATOR along with ACCORDION shutters. 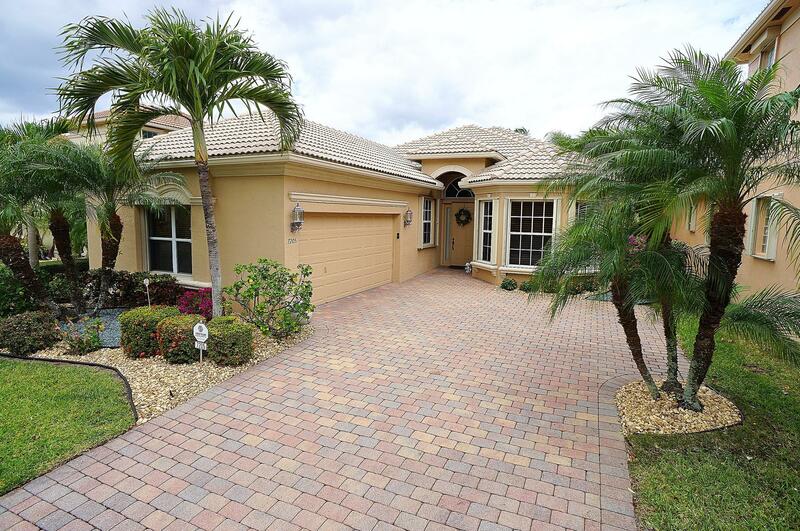 As you approach this desirable Catania model, pride of ownership is so apparent. The attention to detail inside and out makes a magnificent first impression.